Since 1985, AADCO Medical, Inc. has specialized in the design and manufacture of Medical Imaging products for distribution both domestically and internationally. Our innovative product line includes a wide variety of X-Ray Protective Garments and Eyewear, MRI-Safe®, Disposable, Medical Imaging and Surgical Products. 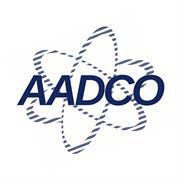 AADCO is also an Original Equipment Manufacturer of Hercules® Overhead Equipment Suspension Systems. AADCO Medical, Inc. presents the industry's most versatile group of Ergonomic Safety Products and Solutions for Medical Imaging. Carestream is a worldwide provider of medical imaging systems and IT solutions; X-ray imaging systems for non-destructive testing; and precision contract coating services for a wide range of industrial, medical, electronic and other applications—all backed by a global service and support network. For more information about the company’s broad portfolio of products, solutions and services, please contact your Carestream representative visit www.carestream.com. To view Carestream’s latest news announcements, please visit www.carestream.com/news/. JZ Imaging & Consulting, Inc.
Konica Minolta Healthcare Americas, Inc.